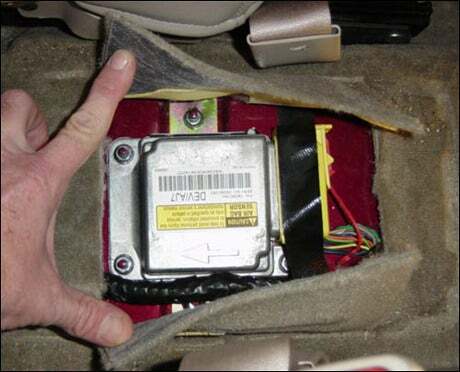 The U.S. Senate has passed a bill requiring all new cars manufactured in the United States be fitted with black box data recorders. Senate Bill 1813 [PDF] was passed by the Senate and is just waiting for approval from the U.S. House of Representatives, InfoWars reports. Section 31406 of the "Moving Ahead for Progress in the 21st Century Act" (MAP-21) bill calls for "Mandatory Event Data Recorders" to be installed in new vehicles, starting in the year 2015. The bill states that within 180 days of the enactment of the bill, the Secretary must revise part 563 of title 49 (Code of Federal Regulations) "to require, beginning with model year 2015, that new passenger motor vehicles sold in the United States be equipped with an event data recorder that meets the requirements under that part." The bill then goes on to describe the "limitations" on information retrieval. Basically, while there will be a "Big Brother" style recording device in all new vehicles, the data recorded on the device will be the property of the owner of the vehicle. "Any data in an event data recorder required under part 563 of title 49, Code of Federal Regulations, regardless of when the passenger motor vehicle in which it is installed was manufactured, is the property of the owner, or in the case of a leased vehicle, the lessee of the passenger motor vehicle in which the data recorder is installed," the bill states. According to the text of the bill, the data on the recording device may not be retrieved by anyone other than the owner or the lessee…unless, of course, the government asks for it. The data may be retrieved by someone other than the owner/lessee if it is requested, and backed, by a court authorization, or if there is a medical emergency. It may also be retrieved if the owner/lessee consents, or if it's relevant in an investigation or inspection conducted by the Secretary of Transportation. InfoWars criticizes the bill for its privacy implications, and points out that there are "innumerable examples of both government and industry illegally using supposedly privacy-protected information to spy on individuals." VentureBeat, on the other hand, notes that this privacy concern is largely irrelevant--Event Data Recorders (EDRs) have been voluntarily installed in cars for several years. In fact, VentureBeat reports, at least 64 percent of cars in surveyed in 2005 had an EDR installed, including 100 percent of cars made by General Motors, Ford, Isuzu, Mazda, Mitsubishi, Subaru, and Suzuki. Still, I understand InfoWars' concerns. 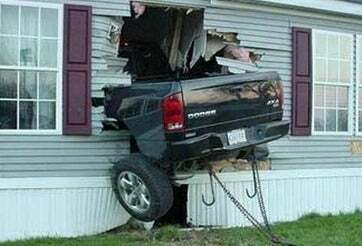 After all, there have been instances in which the government has used GPS to illegally track suspect's vehicles, and mandatory EDRs would just make this even easier. Also, what's to stop a court from requiring data from these black boxes be presented to insurance companies? "The ultimate Big Brother scenario would be a system whereby every driver had to get de facto permission from the state to drive each time they get behind the wheel, once it had been determined from an iris scan that they were good citizens who have paid all their taxes and not misbehaved," InfoWars says, noting that Bill 1813 also contains a controversial clause that would allow the IRS to revoke passports of citizens accused of owing more than $50,000 in back taxes. This provision is designed to keep tax-owing citizens from leaving the country, but could such logic lead to the government stripping citizens of driving rights as well? Follow Sarah on Twitter, Facebook, or Google+, and Today @ PCWorld on Twitter.